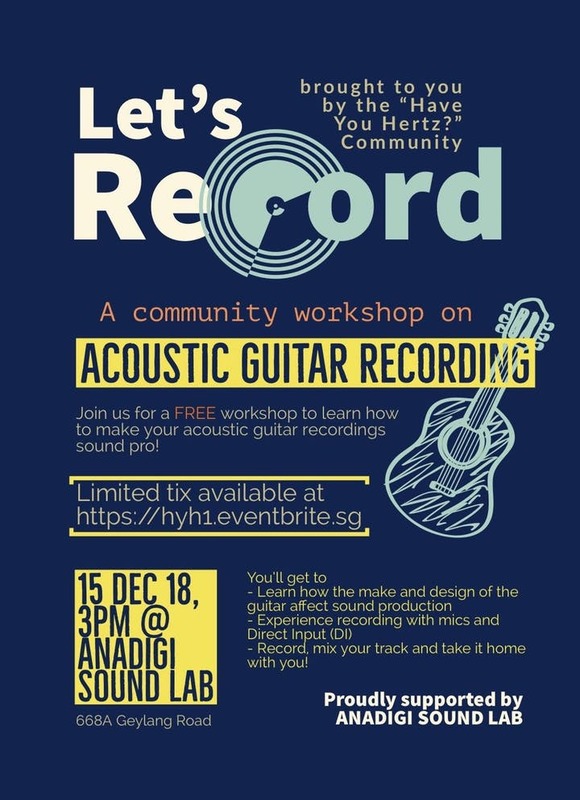 Join us in a free workshop at a professional recording studio to learn how to make your acoustic guitar recordings sound pro! First-hand experience with professional recording - where you’ll get to record, mix, and take home your recorded track. - Come with a guitar (feel free to invite a guitarist friend along if you don’t play), and a track you wish to record. This event is free-of-charge and proudly supported by ANADIGI SOUND LAB. Contributions at the door are welcome, and will go towards supporting future workshops for the Have You Hertz community. Vote for Shak's "Taxi" for the Youth Music Awards 2019!